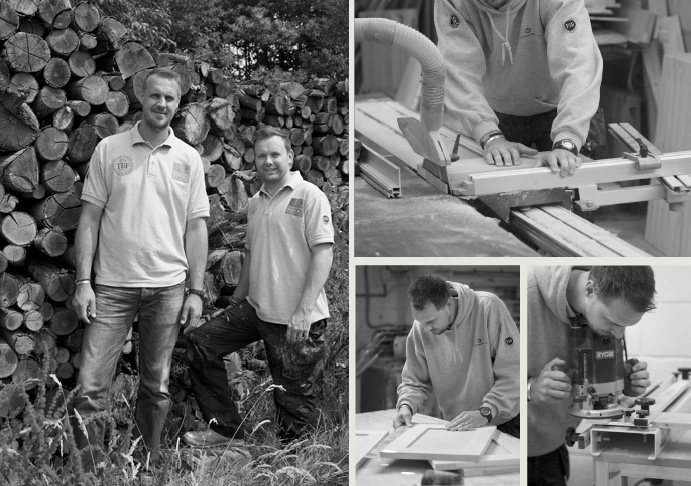 Traditional Bespoke Furniture was established in 2003 by two young, talented craftsman from the Kent countryside by the name of Christopher Lee and Jason Avon. The two business partners have the benefit of over 25 years experience in producing high quality furniture for clients across the country, within their local areas of Kent, Sussex, Surrey, South London and even rural France. The heart of the operation is a showroom and workshop located in rural Kent in the beautiful village of Matfield, just outside Royal Tunbridge Wells, where they are among the most experienced designers and furniture craftsman in the area. Past customers consistently say that what distinguishes TBF is their professionalism, deep knowledge of their products and the ability to produce the finest furniture for all manner of purposes. They are continually designing and producing new pieces of furniture to add to an ever-expanding range. Traditional Bespoke Furniture believe that those who entrust their confidence in the company’s skills, deserve the highest levels of professionalism and service. As such, Traditional Bespoke Furniture provide an independent, premium and highly-personalised service for their clients. This inevitably leads to a long-term relationship – working closely together relieves the anxiety, time pressures and complexities associated with commissioning bespoke furniture in an environment that offers a bewildering choice of options. Altogether this makes the creative process a much more enjoyable, collaborative and stress-free experience. As true artisans, we believe that this ‘bespoke’ approach to furniture production is a rare commodity which increases flexibility and enhances customer satisfaction. Should you wish to take advantage of just some or the full range of services offered by us, you can depend on our experience, professionalism and personal attention in order to tailor specific solutions to your requirements.